Drug addiction has finally claimed another talent, Lil Peep, this week. The 21-year-old rising emo-rapper Gustav Ahr (Lil Peep) died on November 15, 2017, before a scheduled concert in Tucson, Arizona. Just a few hours following his death, Peep’s manager, Chase Ortega, confirmed his death in a tweet. A well-known figure in pop music, Peep is known for his half-singing, half-rapping style. His songs, like ‘White Wine,’ ‘The Way I See Things,’ are largely centered on addiction, witchcraft, heartbreak, depression, and suicide. 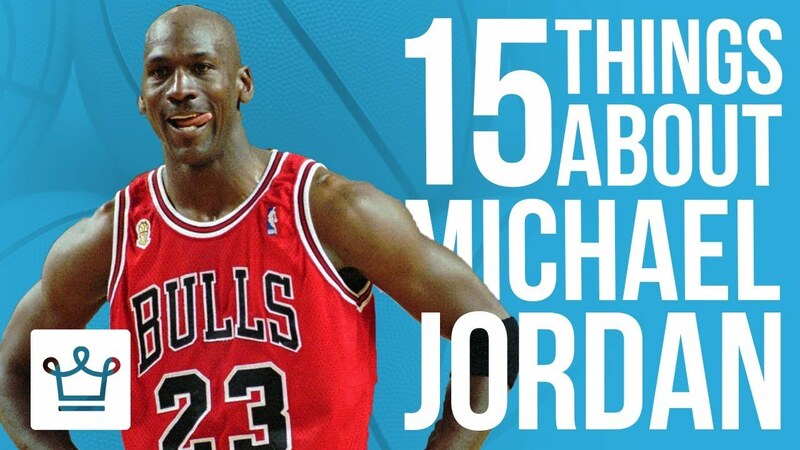 The star won millions of hearts within a short span, and his death has broken them all Despite his popularity and success, the star’s career was plagued with drug use, specifically Xanax, ecstasy, and cocaine. The cause of Peep’s death is unknown. But a statement from the Office of The Medical Examiner suggested that the cause was likely a drug overdose. Medical examiners won’t make any official statement about the true cause of star’s death until they receive toxicology results, which may take around six to eight weeks. Sgt. Pete Dugan, a spokesperson for Tucson Police Department, said that they have found clear evidence of a drug overdose in the tour bus Peep was traveling in. 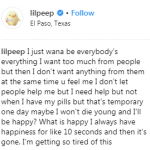 In a short video that Peep posted after his final performance shows him taking Xanax pills, which is a benzodiazepine used for treating anxiety. He also made a post about the opioid drug Percocet that combines Oxycodone and Acetaminophen. 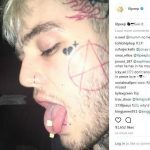 Substance abuse was an essential part of Peep’s music. Also, the glorification of opioids in pop culture is not hidden. 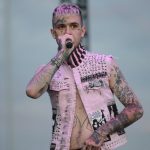 His death has sparked a debate among Peep’s fans and those who are touched by his story. The Nebraska-based rapper, Scru Face Jean, tweeted that even if some people are not fans of Lil Peep, his death ignites a huge issue that needs to be discussed. People who are addicted to prescription painkillers might switch to the cheaper alternative, heroin, once the prescription runs out. It has given rise to the opioid epidemic through the abuse of these painkillers, some of which are prescribed and some are illegal. President Trump said in August that his administration is trying to bring up Federal drug prosecution. The law enforcement officers are working to protect innocent U.S. Citizens from malicious drug dealers who are poisoning the community. Trump declared a week in September, as Prescription Opioid and Heroin Epidemic Awareness Week to bring attention to individuals and families across the country that have been impacted by drug addiction.